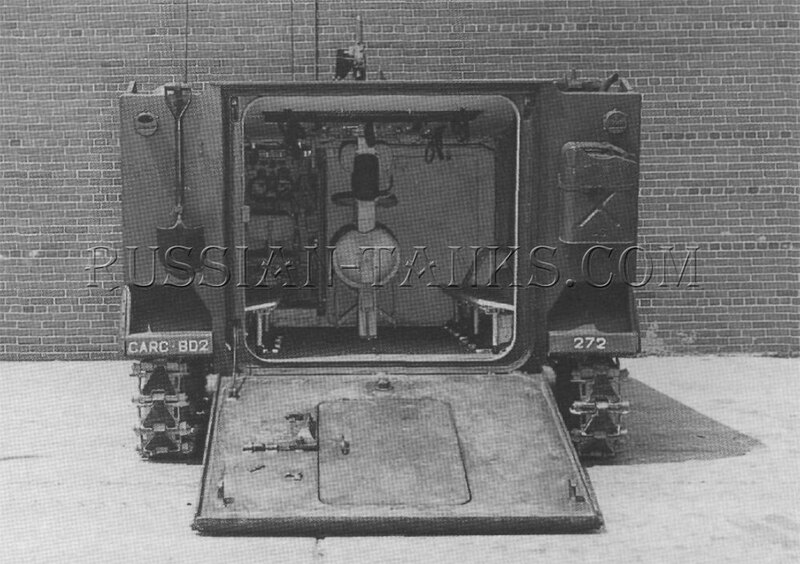 In June 1954, Detroit Arsenal initiated concept studies for a series of lightweight combat vehicles utilizing the same universal chassis. These vehicles were to be not only suitable for airtransport, but also capable of being dropped by parachute during phase 1 of airborne operations. On 30 September 1954, the U.S. Army Field Forces issued military characteristics for a family of two armored carriers with weights of 16,000 pounds and 8,000 pounds. The heavier vehicle was intended to carry a ten man infantry unit and to provide a suitable chassis for self-propelled weapons, a cargo carrier, and an ambulance. The lighter vehicle was to carry a four man crew and be used as a command and reconnaissance vehicle or as a mount for the battalion antitank rifle. 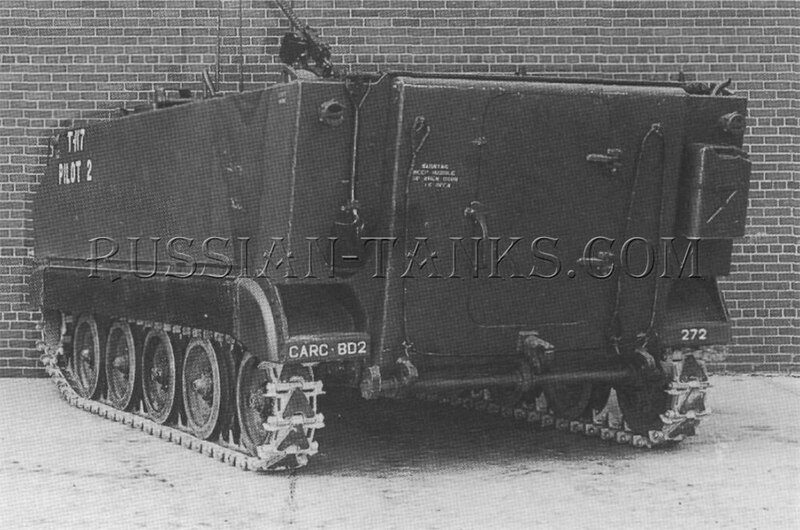 Both vehicles could be wheeled or tracked and were to be amphibious with all round light armor protection. 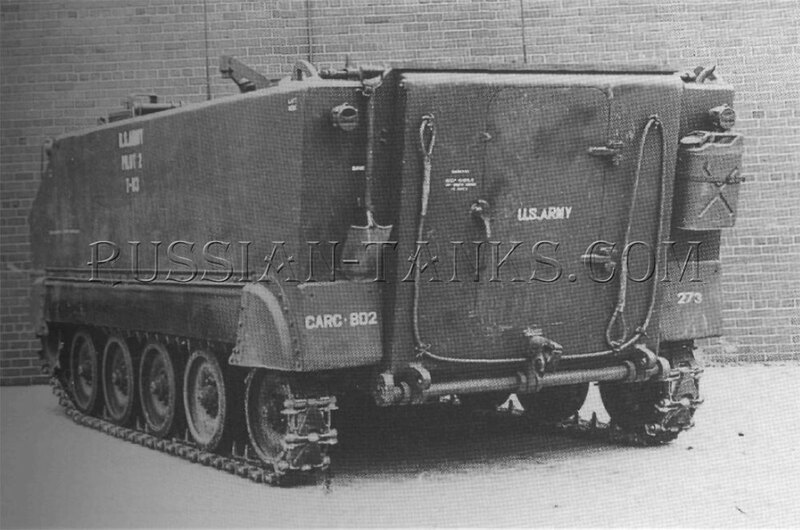 The 16,000 pound tracked vehicle corresponded to the universal chassis design concept already under study at Detroit Arsenal. Preliminary mock-ups of the various vehicle configurations were completed at the Arsenal and presented to the Continental Army Command (CONARC) in June 1955. 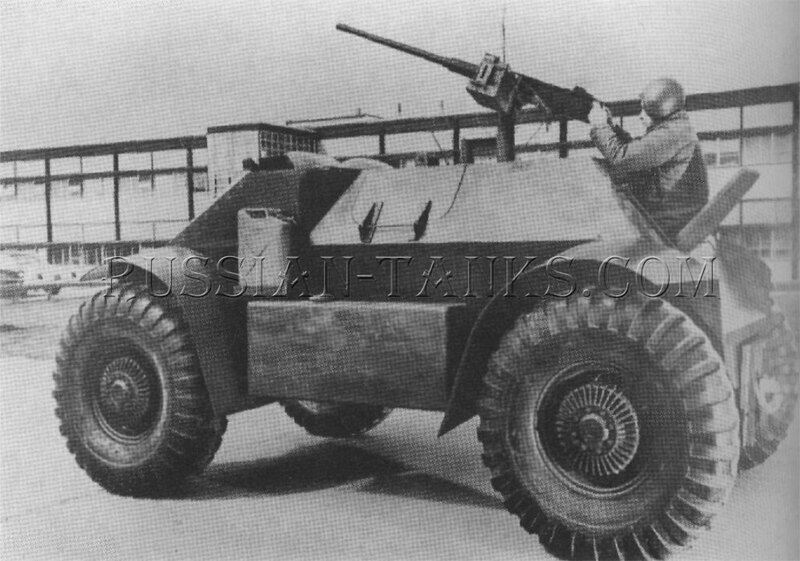 At that time, the wheeled version of the ten man vehicle was dropped from further consideration because of cross-country mobility requirements. The original design of the larger tracked vehicle also was modified to carry 12 men in addition to the driver. On 5 January 1956, Item 36049 of the Ordnance Technical Committee Minutes (OTCM) officially initiated the development and defined the military characteristics of the air transportable, armored, multi-purpose vehicle family. These vehicles were designated as the T113 armored, full-tracked, personnel carrier (13 men), the T114 armored, full-tracked, personnel carrier (4 men), and the T115 armored, wheeled, personnel carrier (4 men). 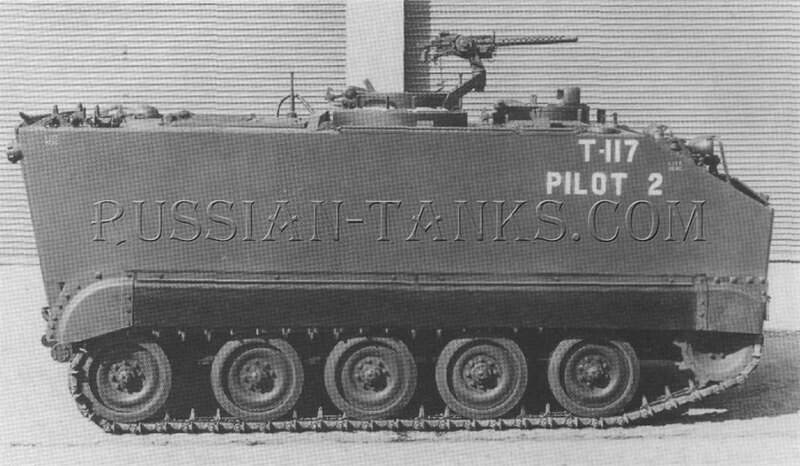 However, the T115 was abandoned without further development, although a mock-up was completed. Following a meeting at the Pentagon in May 1956, a contract was awarded to FMC Corporation for the development of the new vehicle and it authorized the construction of 16 pilots. They were to consist of ten armored personnel carriers, two 81mm self-propelled mortars (later designated as the T257), three carriers for the Dart antitank missile (later designated as the T149), and one basic chassis for experimental use. To obtain the maximum amount of information, CONARC requested that eight of the pilots be fabricated using aluminum alloy armor and be powered by a standard Ordnance air-cooled engine. The remaining eight vehicles were to be assembled with steel armor and a commercial liquid-cooled engine. 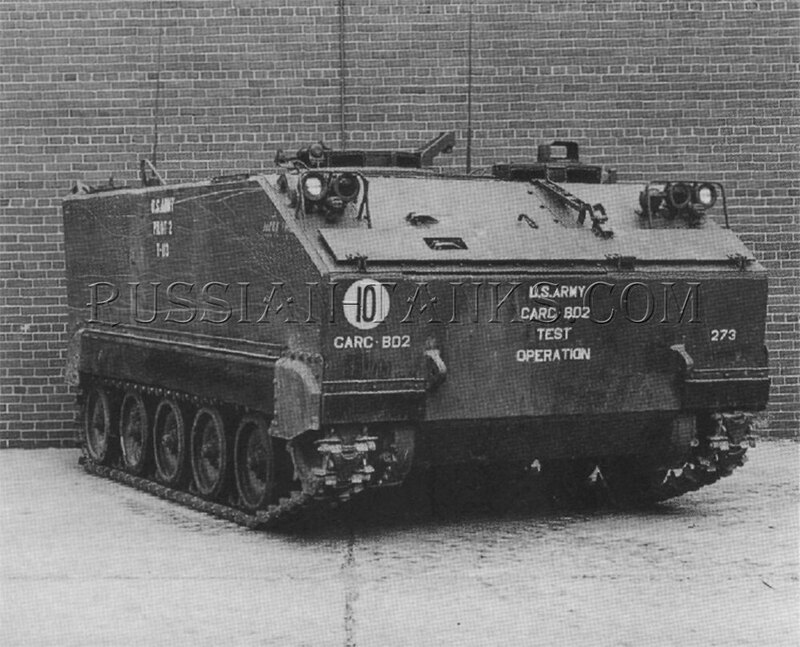 FMC completed the mock-up of the T113 which was inspected in October 1956 and approval was received for the construction of the pilot personnel carriers and self-propelled (artillery) mortars. 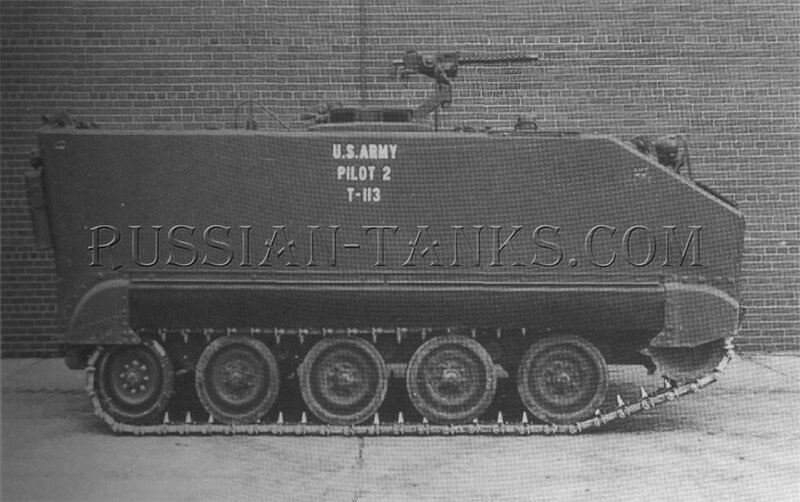 Two versions of the armored personnel carrier T113 were completed during 1957. 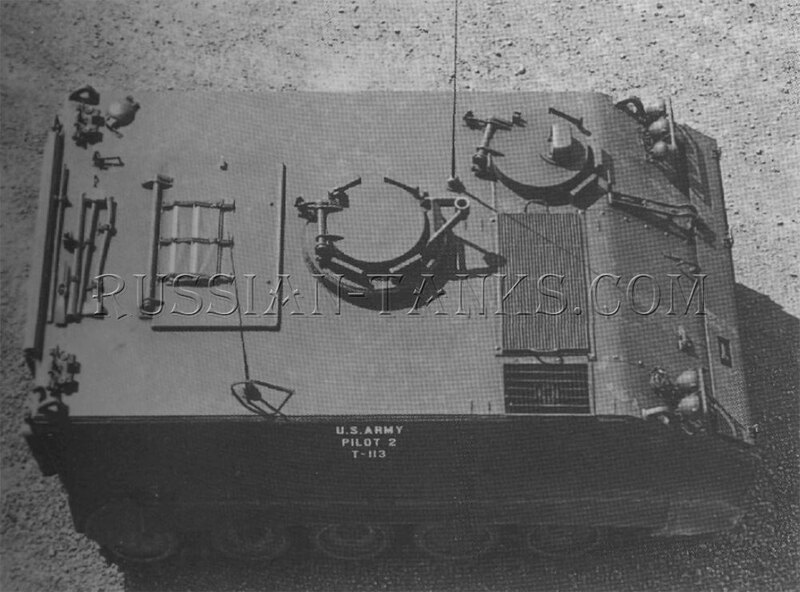 One of these was the original T113 with aluminum alloy armor powered by the AOSI-314-2, air-cooled, engine with a geared steering, X-drive, transmission. The other utilized steel armor and was driven by a Ford Model 368-UC, liquid-cooled, V8 engine using the same transmission. 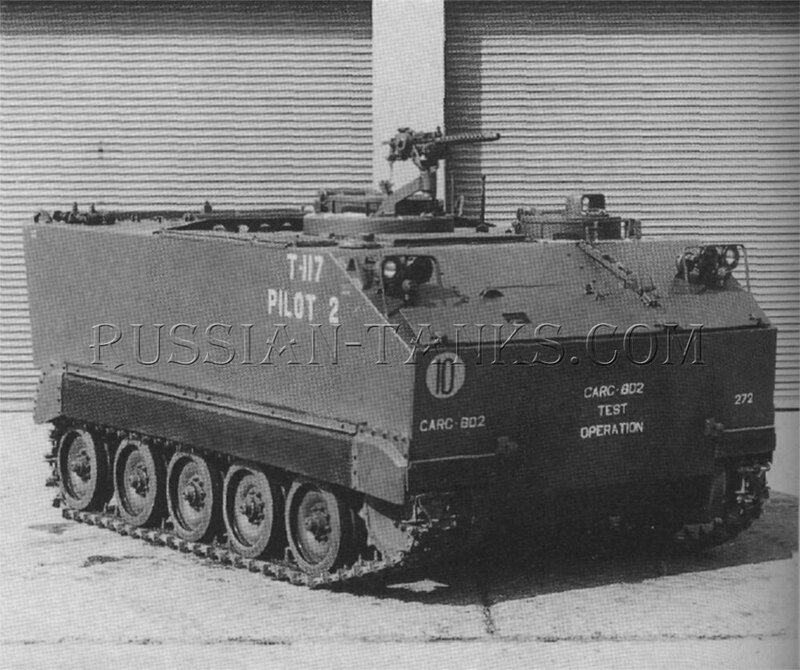 To avoid confusion with the T113, this vehicle was designated as the armored personnel carrier T117. Five T113s and five T117s were manufactured by FMC. In addition, one aluminum T113 hull and one steel T117 hull were delivered for ballistic tests. Consideration also was given to the use of 2 inch thick magnesium alloy armor on the T113. However, this project was canceled. With gross weights of 17,600 pounds and 19,530 pounds respectively, the T113 and T117 were very similar in appearance. 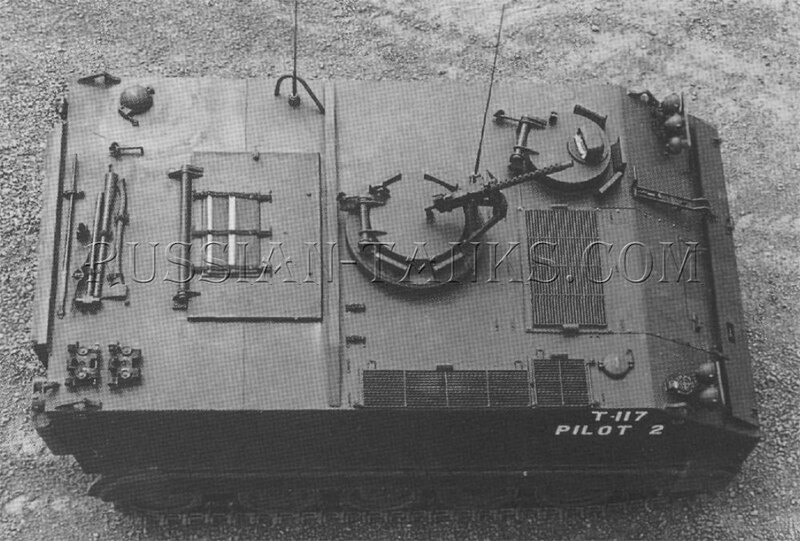 External stiffeners were fitted on the thinner roof of the T117 and the towing eyes welded to the front hull also were thinner on the steel vehicle. Both the T113 and the T117 could be dropped by parachute. Engineering and service tests of both types began in the Fall of 1957.